Abdominal pain is the pain that is felt in the lower chest and groin areas. It is often referred to as a stomach ache. It is common for almost everyone at some point in their lives to experience abdominal pain. In many cases it is not serious and can be effectively treated. It is important to consider that how intense the pain feels is not always an indication of how severe the underlying cause is. Abdominal pain may be felt in a generalized area, covering more than half of the belly; localized pain is felt in only one area of the belly; cramping; and colicky pain which comes in waves. What Treatment Plans Help with Abdominal Pain? Once the underlying cause of abdominal pain has been identified, treatment for that health issue can be administered. In some cases medication is used to relieve swelling, which will in turn reduce the pain it causes. Antibiotics will be prescribed if there are infections. In other cases, surgery may be required to correct the problem. Pain relieving drugs or analgesics, such as aspirin are often recommended but are not always ideal, as they can lead to other health concerns such as ulcers. 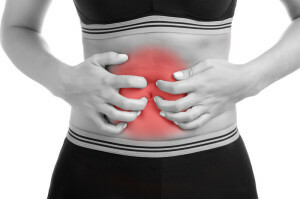 How Is Chronic Abdominal Pain Best Treated? Chronic abdominal pain is that which is severe and which affect the sufferer over long periods of time. It can result from the presence of gallstones, PID or the scar tissue which results from an intestinal surgery. Conditions such as pancreatitis, abdominal cancer, Crohn’s Disease and inflammatory bowel disease can present with chronic abdominal pain. Injections such as the Celiac Plexus Block which can relieve pain for as long as two to four months in some recipients who suffer with IBD, pancreatitis and abdominal cancer. What is the Prognosis of Abdominal Pain? In many cases, abdominal pain will eventually dissipate without the need for surgery. Most sufferers will just need to treat their symptoms. The outcome of abdominal pain which results from underlying medical conditions is dependent on the severity of the issue. Patients with uncomplicated infected gall bladders or appendicitis will recover from surgery without further complications. However, having more severe issues such as a ruptured appendix, perforated ulcer, blocked bowel, or a blood clot can mean serious surgical procedures and a longer recovery time. The older the patient and the more underlying conditions there are, the more grim the outlook for recovery. “Abdominal Pain: MedlinePlus Medical Encyclopedia.” U.S National Library of Medicine. U.S. National Library of Medicine, n.d. Web. 25 Sept. 2014. “Abdominal Pain.” WebMD. Ed. Melinda Ratini. N.p., n.d. Web. 25 Sept. 2014. <http%3A%2F%2Fwww.webmd.com%2Fpain-management%2Fguide%2Fabdominal-pain-causes-treatments%20http%3A%2F%2Fpatients.gi.org%2Ftopics%2Fabdominal-pain%2F>. “Abdominal Pain Syndrome.” American College of Gastroenterology: Patient Resource Center. American College of Gastroenterology, n.d. Web. 25 Sept. 2014. <http://patients.gi.org/topics/abdominal-pain/>. “Abdominal Pain (Adults) Causes, Symptoms, Treatment – Abdominal Pain in Adults Prognosis – EMedicineHealth.” EMedicineHealth. N.p., n.d. Web. 25 Sept. 2014. <http://www.emedicinehealth.com/abdominal_pain_in_adults/page14_em.htm#abdominal_pain_in_adults_prognosis>.